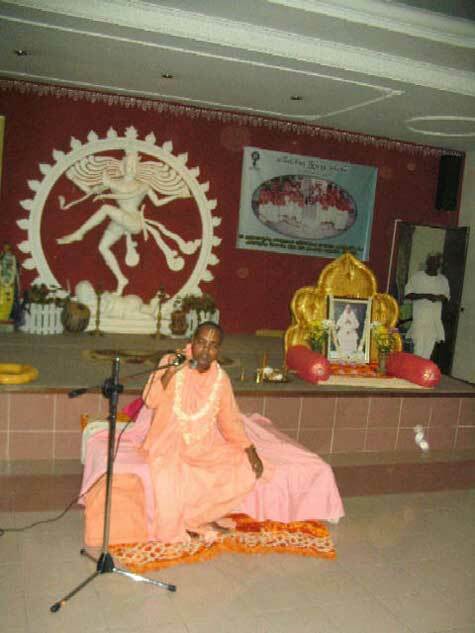 Sri Gurudev His Divine Grace Om Vishnupad Paramahamsa Jagat-Guru Sri Srila Bhakti Sundar Govinda Dev-Goswami Maharaj's vyasasan at the Sri Sanatana Dharma Ashram. 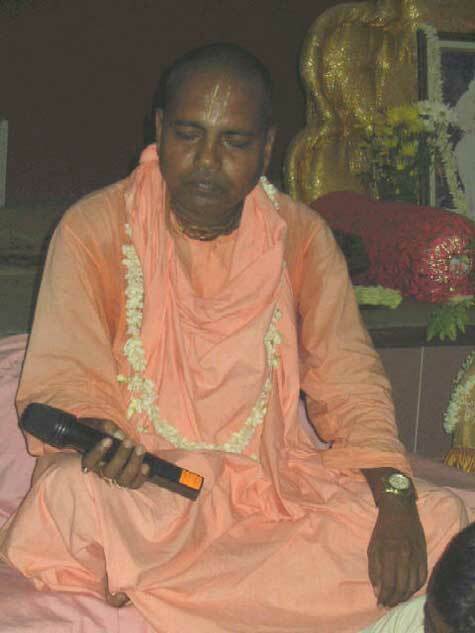 Upon arrival at the Ashram, His Holiness Sripad Bhakti Nirmal Acharyya Maharaj sang "Yasomati-nandana..." and followed by Sri Guru Arati. 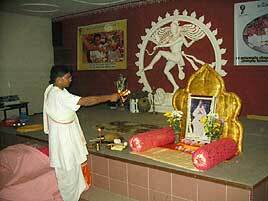 Rama Ratan Das performing puja for His Divine Grace. 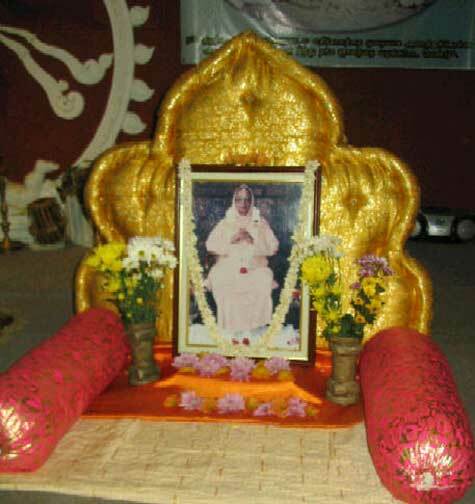 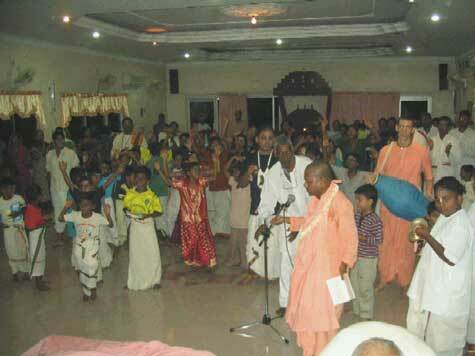 His Holiness leading Sri Guru arati. 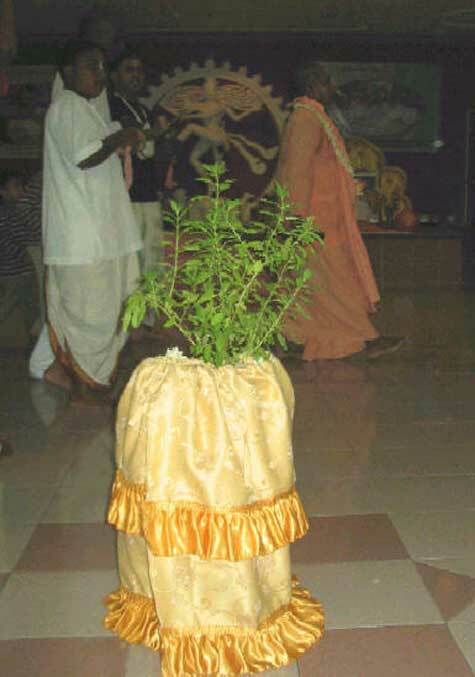 Followed by Sri Tulasi parikrama. 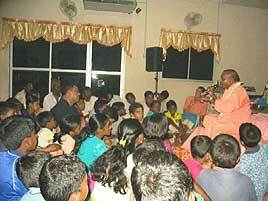 Afterwards His Holiness delivered an enlightening lecture. 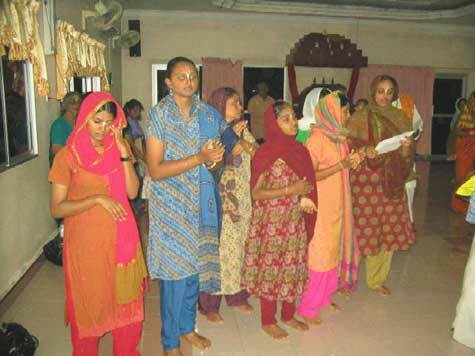 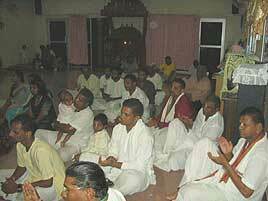 Devotees from other local centers also attended. 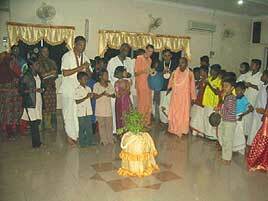 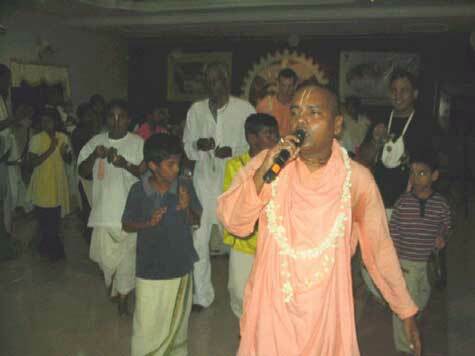 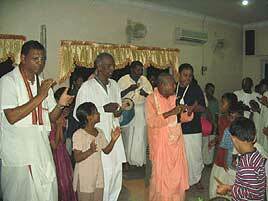 Balendrananth Prabhu translates into Tamil as many attending were Tamil speaking people. 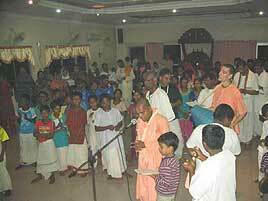 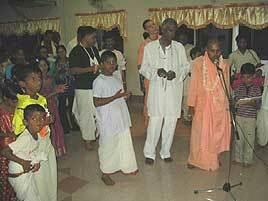 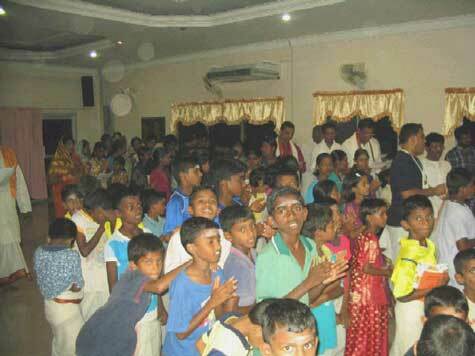 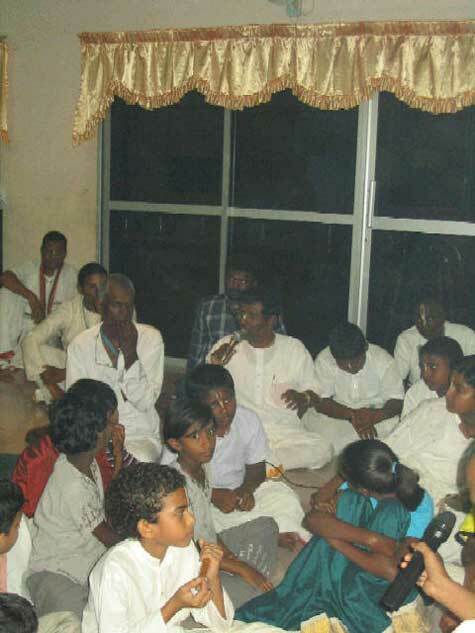 There are around fifty children in this Ashram run by the Malaysian Hindu Sangam, Sitiawan Branch, and all are vegetarians. 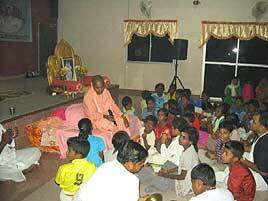 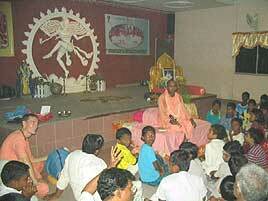 It is an orphanage home managed by Mr. Aramban who is also our well-wisher. 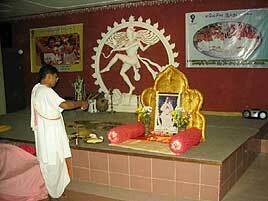 After further kirttan, a nice sumptous prasadam feast caringly prepared by our creative cooks headed by Sruti Moyee DD and Jaishree DD was served.